In 1970 GM's General Manager per-incarcertion John DeLorean directed his engineering staff the develop a high performance cylinder head for the Vega 4-banger engine. Within a few years a combination of GM's alloy block and a Cosworth Engineering designed head was mounted into a Chevy Vega that cost nearly as much as new Corvette. In the August 1973 edition of Car and Driver magazine, one of the talking heads wrote "Cosworth Vega 16-Valve. More than an engine. A taut-muscled GT coupe to devastate the smugness of BMW 2002tii's and 5-speed Alfa GTV's. A limited run of 4000 machines, each one built away from the tumult of the assembly line to precision tolerances, as a show of technical force by Chevrolet. All of them will be collector's items." 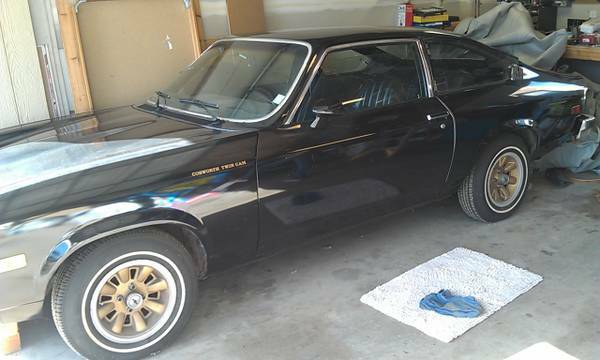 Find this 1975 Chevrolet Cosworth Vega for sale in San Jose, CA for the bargain price of $2,500. Tip from Jeffrey L.
The Cosworth Twin-Cam Vega is one of those strange and rare cars that you won't see on the road very often, not just because the shoddy Vega quality body is now powered by an engine engineered with "race" performance in mind (remember that most races are only a few hundred miles...), but also because GM only built 3500 examples. 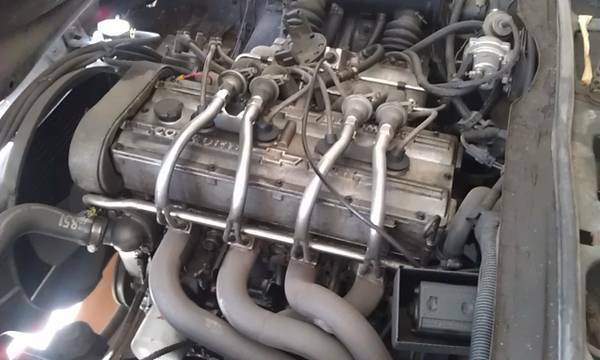 The 2.0 liter twin-cam Cosworth head inline-4 gives the special Vega most of its personality and yes - those long header tubes are factory, a rare sight under the hood of any production vehicle. Original versions of the Cosworth engine put out 170 horsepower and wow'd pointy haired executives in GM, but by production the realities of ever tightening emissions regulations and the need to last more than one dealer test drive forced the engine to be rated at 140 SAE net horsepower. This sounds pretty low compared to many engines built a few years before, but the change from gross to net HP ratings dropped rated HP of every engine and the Twin Cam would have likely gotten a 170ish HP rating if tested with the old SAE gross protocol from a few years earlier. 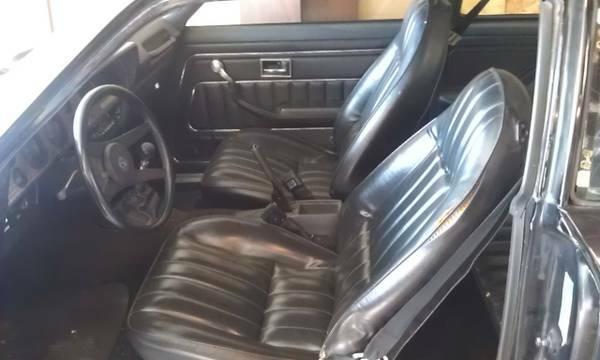 The cosmetic condition of this Vega looks great for the $2500 asking price, and the biggest concern would be the amount of money necessary to get the Twin-Cam engine back into running condition. I assume this is the 4 speed version for sale here. It's difficult to assess a value without being able to determine the engine's condition, but at this price it might be a reasonable risk if only as a parts car. If it were in upper state New York, I'd be intested, I live in the Niagra region of Ontario.